Edsson Ukraine LLC Client Reviews, Rating and Analysis Report. Edsson is a global provider of high-end software outsourcing services based on "A+" experts from a cost-effective region with western cultural proximity. The business model of High-end outsourcing provides companies with competitive advantages of fast and flexible access to skilled experts. iOS application for finding your colleagues in the office or out of it. Based on iBeacon technology, we can precisely locate each person inside the building. 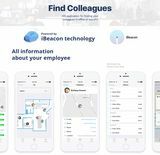 Find Colleagues is an application for finding your colleagues in the office or out of it We are entirely satisfied with product development that was provided by Edsson. We launched our beta version. For us as a startup, this is a critical stage, and product quality is determining the factor to success. 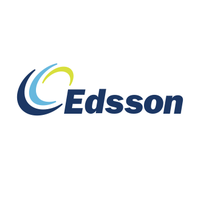 Edsson presented an excellent beta. The team’s ability to respond to refinements and updates was swift. The overall experience was great, and this gave us the confidence to increase the project scope for launch significantly.